Ming Zhang received his Ph.D. degree from the University of Electronic Science and Technology of China in 1991 in electrical engineering. 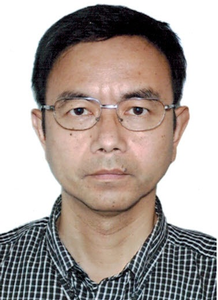 He was a Lecturer in 1991 and then Associate Professor in 1992 with Nanjing University of Aeronautics and Astronautics, China. In September 1994, he joined the School of Electrical and Electronic Engineering, Nanyang Technological University, Singapore, as a Postdoctoral Fellow. He then joined the Centre for Signal Processing as Research Fellow in June 1996 and was promoted to Senior Research Fellow in January 1998. He also received an appointment of Program Manager in June 1998 to lead a technical team on audio, speech and adaptive signal processing. After working at Sony Electronics, San Jose, CA, he joined Fortemedia, Inc., Cupertino, CA, a high-tech company on voice interface for mobile applications under adverse environments, as a Co-founder and Vice President in 2001 (then CTO) to lead a global R&D team to develop voice processing algorithm and real-time software/firmware on DSP. The technology he invented was used to produce the World’s First Cellphone with multi-microphone noise reduction solution in Year 2006 by Futjisu (Raku Raku Phone). In 2011, he founded Acostek Co Ltd, a high-tech company in China, to focus on automatic audio test system. He has published more than 80 papers in journals and conference proceedings and has more than 60 US and other granted patents. His R&D interests include adaptive signal processing, array processing, speech and audio processing and communications. Dr. Zhang received three science and technology achievement prizes from the Chinese Government and some other awards/honors.